A mechanic was yesterday granted bail by a city magistrate after denying that he wounded a man with a cutlass as a result of an argument. 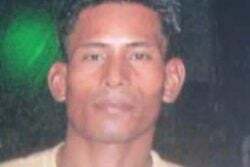 Ronald Seebachan, 34, was read the charge that on March 29th, at Aranka, Cuyuni River, he unlawfully and maliciously wounded Lester McKenzie. The court heard that on the day in question, the two men had an argument, which resulted Seebachan allegedly chopping McKenzie about his body with a cutlass. Seebachan denied the charge after it was read to him by Chief Magistrate Ann McLennan and police prosecutor Gordon Mansfield made no objection to bail being granted. 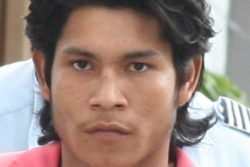 Seebachan was later granted his release on $70,000 bail and ordered to report every Friday to the subordinate officer-in-charge of the Aranka Outpost until the completion of his trial. The matter was then adjourned until April 11th, when it is expected to be called at the Bartica Magistrate’s Court.